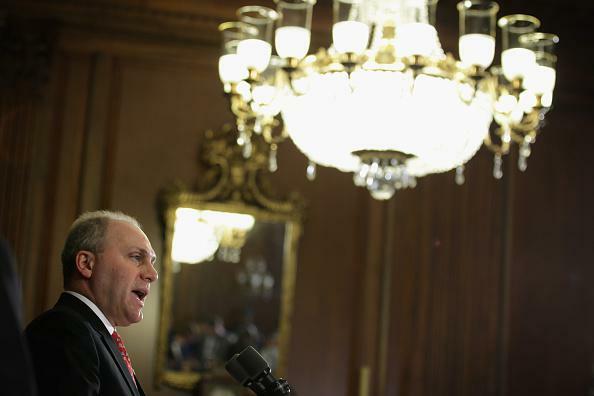 NFL chief Republican lobbyist: Nicole Gustafson of Steve Scalise's office. The league has long been in the market for a GOP guru to help it navigate public policy matters following November’s midterms, which left the party controlling both houses of Congress. … The NFL has been beefing up its K Street team as it faces tough questions from lawmakers about an array of issues, including head injuries and player safety, the league’s tax status, broadcasting rights and the use of performance enhancing drugs. The NFL has spent about $10.12 million lobbying since 2007, when it began to ramp up its K Street efforts, and shelled out $1.22 million in 2014 alone. Gustafson will join a lobbying department run by Cynthia Hogan, a former White House counsel for the Obama administration who also worked with Joe Biden as a staffer on the Senate Judiciary Committee. Hogan was hired in September 2014 as the NFL was being widely criticized for its handling of former Baltimore running back Ray Rice’s domestic violence case.